Are you having a hard time trying to stop comment spam on WordPress? An interactive website lets readers express their feedback and opinions but comment spam can cloud this helpful interaction. 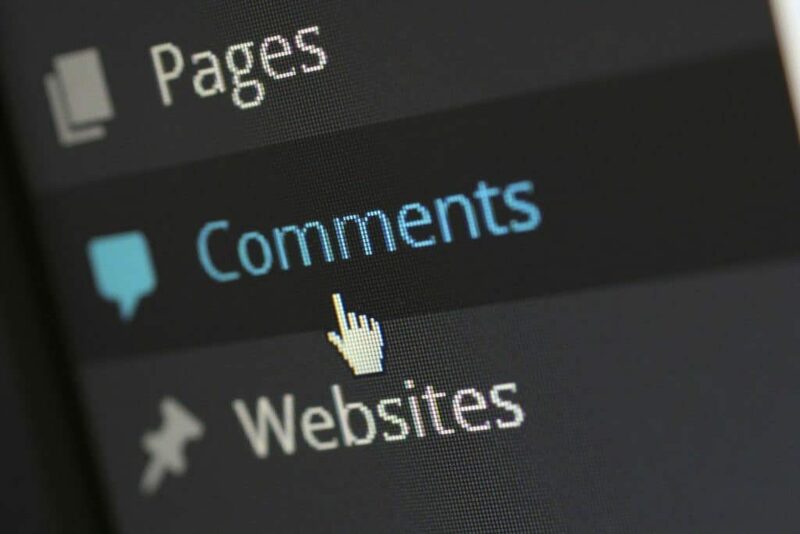 Small and big sites alike have to deal with comment spam at one point or another, and while WordPress provides a substantial level of help in dealing with the problem, you will need to be proactive as well. Comment spam makes a site look unprofessional, and it may drown your website’s database. If left unattended, the spam can trigger search engines to block your site. One extreme solution is to opt out of comments altogether. People are interacting more on social media, and you can direct users to discuss the post further on another platform such as Reddit or Facebook. Although this move will make your site 100% spam free and many people do take this option, you will miss out on some valuable information from users. You can use WordPress Discussion settings to have control over comment moderation. These settings prevent un-authorized comments from going live, and they are situated on your site’s dashboard. If your settings require comments to be manually approved, all comments will be held as Pending until review. You can then determine which will be displayed and which will be trashed. The second pair of settings labeled as “Other Comment Settings” deals with the registration of users. You can, for example, require comment authors to fill out their names and emails and to be logged in when they are commenting. There is also an option of comment authors having other approved comments. This is quite a strict option and will prevent most spam but it will likely also prevent people from bothering to comment at all if they have to jump through too many hoops. Another useful section is the “Comment Moderation and Blacklist” where a comment can be put on hold if it has a specific number of hyperlinks. You can further opt to hold comments based on Word Match. These measures will be incredibly helpful in dealing with comment spam. Anti-spam plugins are designed to block any spam comments. Some of the basic features of these plugins include preventing trackbacks and pingbacks, displaying spam statistics on your site’s dashboard, and blocking spammy IPs. Some of the plugins link all the comments on your website to their servers where they are subjected to numerous algorithms to determine which are spam. Spam comments are displayed on a spam queue where you can approve them if you want. Some plugins even let you block commenters from particular nations and only allow comments published in the language you have chosen. It is advisable to select a plugin that requires IP validation of all commenters. There are several premium and free plugins to pick from, and you only have to match your needs with the features of your plugin of choice. Spam is an internet phrase which defines unsolicited emails and links. They are posted to generate high clickthrough rates to other websites. It is another strategy used by sites to drive traffic and influence search engines rankings. Spammers make use of specialized software to single out websites depending on a range of factors including content and keywords. In basic terms, spammers joyride on the success of sites. One of Google’s search techniques is PageRank which not only considers the content of the page being indexed but also looks at who links to the page and what exactly those links say. In practice, a google bomb requires many websites to link to a page with similar link text to improve the ranking of that page. Let’s say a spammer has a site called “Americanbooks,” and they want to rank highly on Google with that keyword. They will leave comments across many websites which will contain the link text “Americanbooks” to be indexed by Google. Now that you know how spam works, how do you identify them on your website? Legitimate comment authors will typically use their real names when commenting since they are interested in your posts and genuine interactions. Spammers, on the other hand, will use fake names and corporations like “user4578” as well as blank photos or default Gravatars. Spammers will also include keywords in their names for example “BuyComputersOnline.” Always remember that the goal of a spammer is to improve their search engine ranking at the expense of yours. Most spammers leave irrelevant comments which might even include suggestions on websites and software. Other spammers leave generic comments that can be posted every post. Comments like “nice job” and “great post” are found across many websites. You can also visit the sites of commenters using the links that they leave. If any site looks questionable, you can delete the comment or the link. This practice is necessary because spammers can leave spam that looks genuine but use their names or URLs to reference products or websites. Spam may look harmless, but they can ruin your reputation with search engines especially Google. Google has been cracking down on sites that have spam comments, and it may rank your website low on its index. The problem could further accelerate to a point where your site gets permanently banned on search engines. If you get your website blacklisted by Google, you can appeal it and disavow links to your site but it is hard. The best way is to avoid spam in the first place. Spam also adds clutter and makes your website look unprofessional. Your readers want to see valuable content, and they may be discouraged from visiting your site if it has a lot of spammy comments. This exit of readers may hurt your site and your business. A lot of the spammy links have malicious content or software viruses, and you expose your readers to these unfortunate circumstances by allowing spam comments to flood your website. If allowed to proliferate, spam can redirect your site’s traffic to other websites. Although spam comments are inevitable, you can use various tools on WordPress to combat them. The last thing a growing website needs is low search engine rankings and unmotivated customers. Cleaning up spam is challenging, but it will boost your site’s performance in the long run.